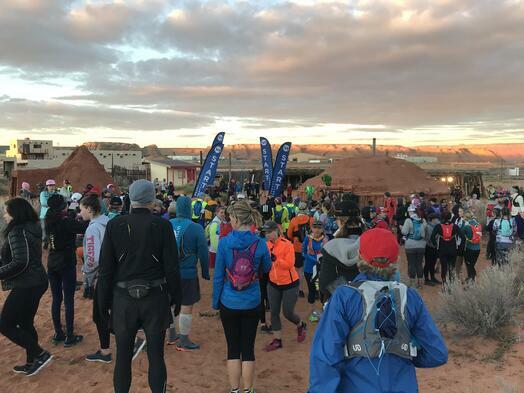 The excitement in the frigid morning air was palpable as ultra runners huddled around the open fire pits before last Saturday’s Antelope Canyon Ultra Trail races. Crazy Amy and Crazy Jessica, my crazy ultra trail racing cohorts, and I flew out to Page, Arizona last week for our most recent 55K (34 mile) race. If you think WE’RE CRAZY, many runners were racing in the 50 mile and 100 mile races! Looking around before the race start, I observed both male and female runners of every age, shape and size, contradicting the common assumption that ultra trail runners must be in amazing shape and be a certain size in order to run crazy distances exceeding a marathon. In fact, very few women ultra runners that I’ve observed are tall and lean like elite marathoners. Many ultra trail runners are short and/or carry extra body “padding.” Some may even be sick. Crazy Jessica overheard one runner tell another that she has MS and that running helps curtail her flair-ups. Go figure. Just as ultra trail runners do not need to look a certain way or fit a particular socio-economic profile to be successful (I define “success” in ultra trail running as finishing the race, preferably within the time cutoff! ), one does not need to fit a certain socio-economic profile to plan their estates. I firmly believe to my core that ANYONE can become an ultra trail runner with commitment and training. Plus, walking helps a lot during long races! 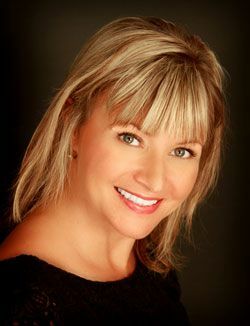 I also believe that EVERYONE should have a written estate plan in place to protect themselves and their loved ones from unnecessary government interference, exorbitant and unnecessary legal fees, and family headaches. “Rich” or “poor,” you’ve worked hard for what you have and it’s worth protecting for yourself and your loved ones, right? After the Navajo blessing and an audible “Go!,” us three amigas we were off to the races so to speak. Stay tuned for more race details in an upcoming post. Click here to see more photos from our crazy adventures on Facebook. But before you leave, please sign up our newsletter on the pop up window so you can read more about upcoming adventures.